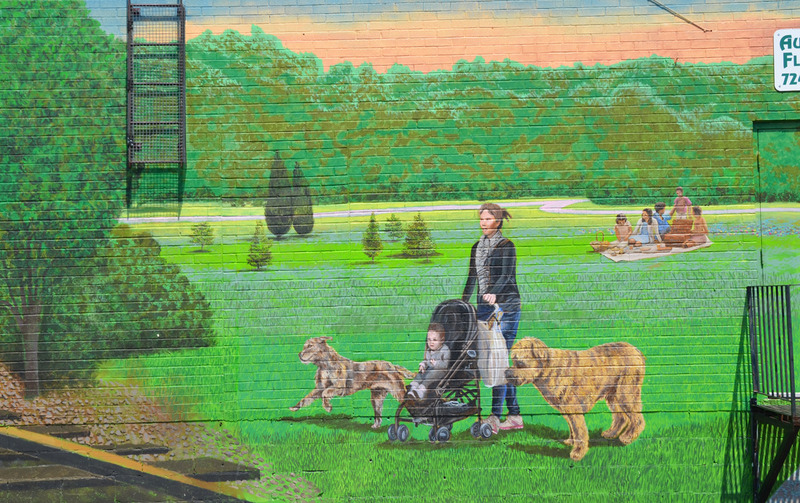 They are all part of the same mural. 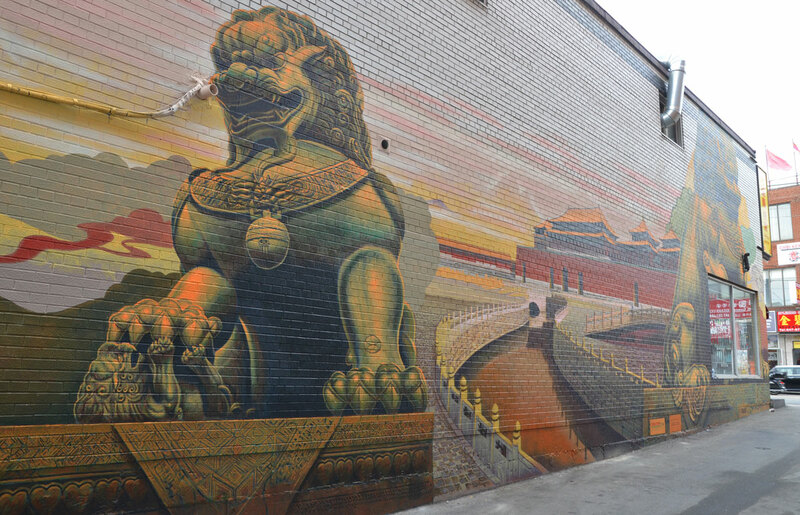 The mural is so big that I couldn’t get a picture of the whole thing unless I made a very long skinny panorama – which I decided against. 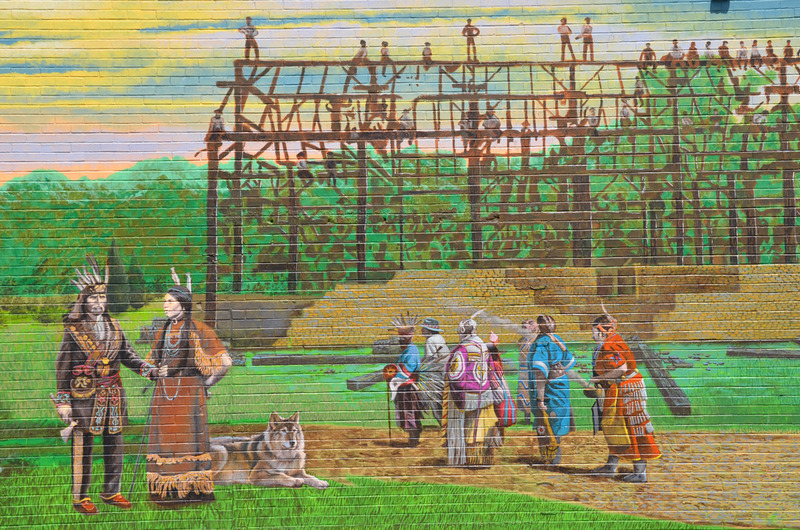 I think that you should get a good idea of what the whole mural looks like from the following set of photos. 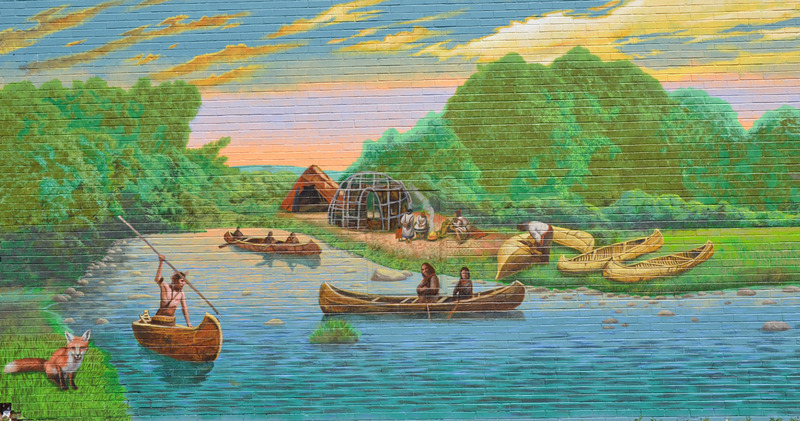 below: The mural tells the story of Port Union starting with a First Nations settlement in the area. 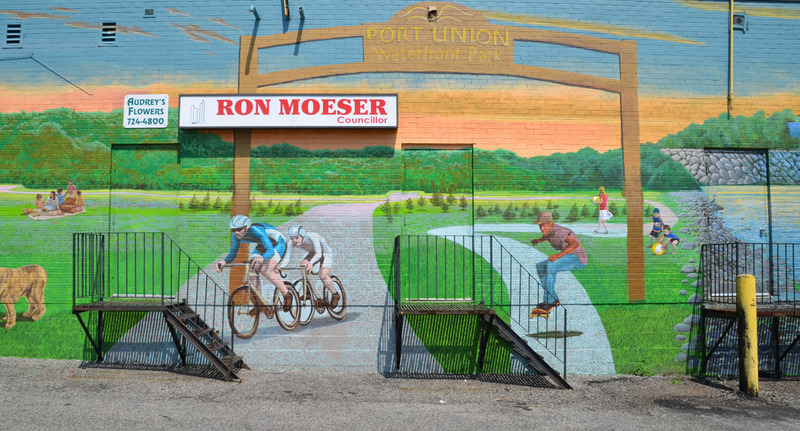 below: North end of the Port Union mural. 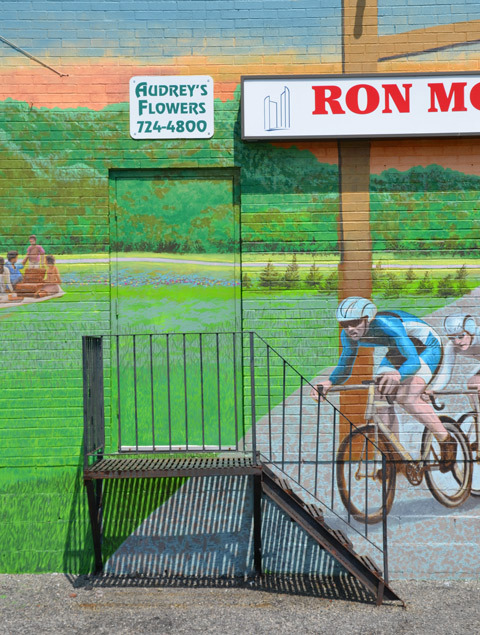 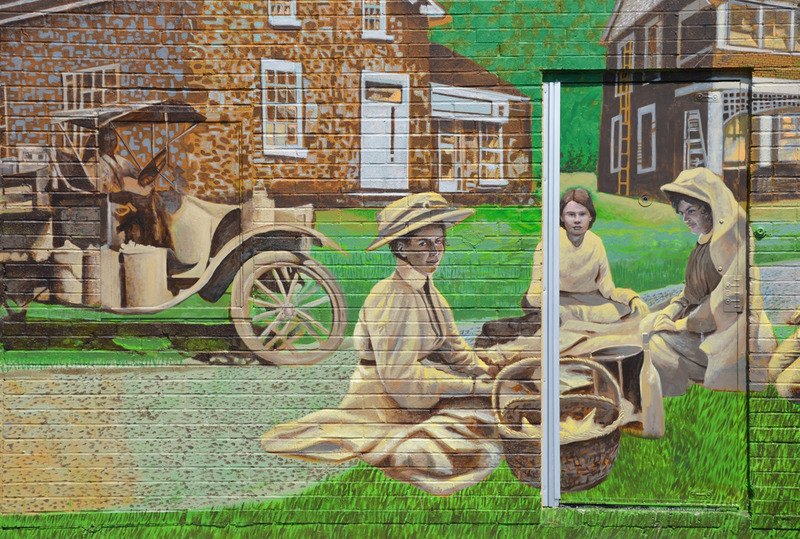 The mural faces the parking lot of a complex consisting of the Port Union Community Centre plus a library and Charlottetown park. 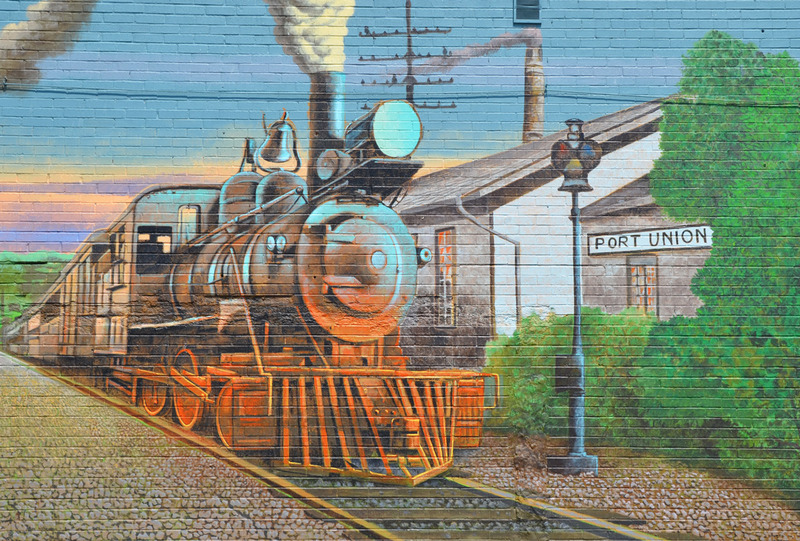 below: The railway comes to town. 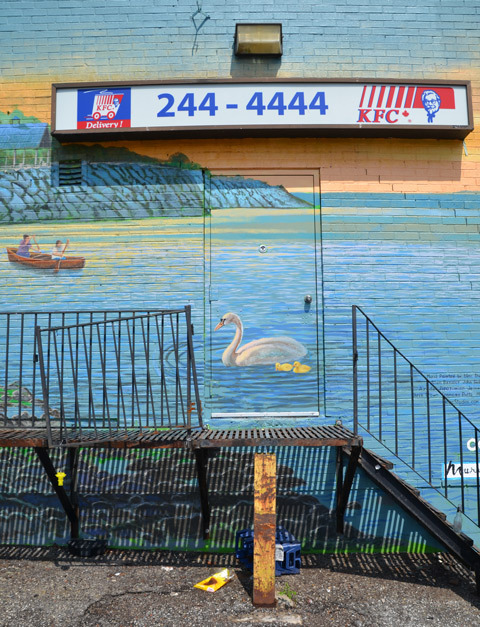 below: And that brings us back to the swan and KFC at the south end of the mural. 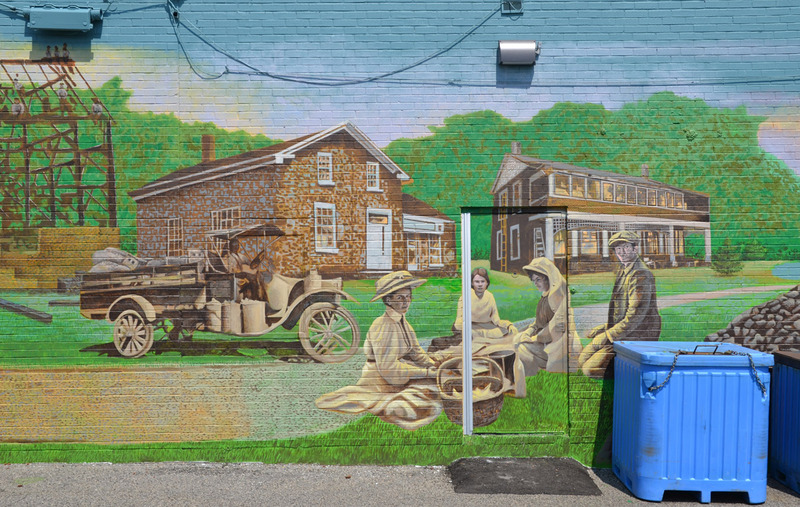 This mural was painted by Blinc Studios and was part of Mural Routes. 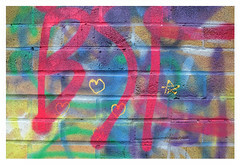 Artists are: Allan Bender, John Nobrega, Azadeh Pirazimian, Jesse McCuaig, Chris Brown, Frances Potts, and Melissa Bessey. 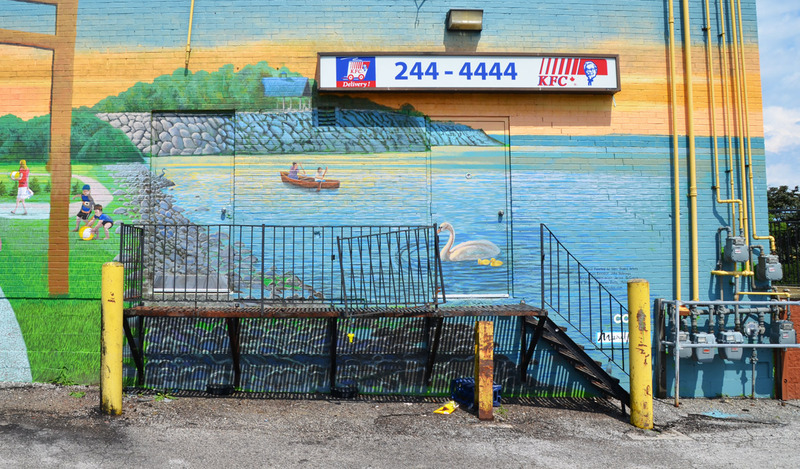 Other blogs that feature doors can be found at Thursday Doors, courtesy of Norm 2.0. 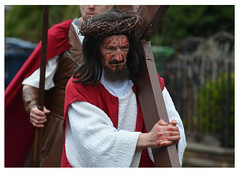 (see the little blue link between the end of the blog post and the comments section). 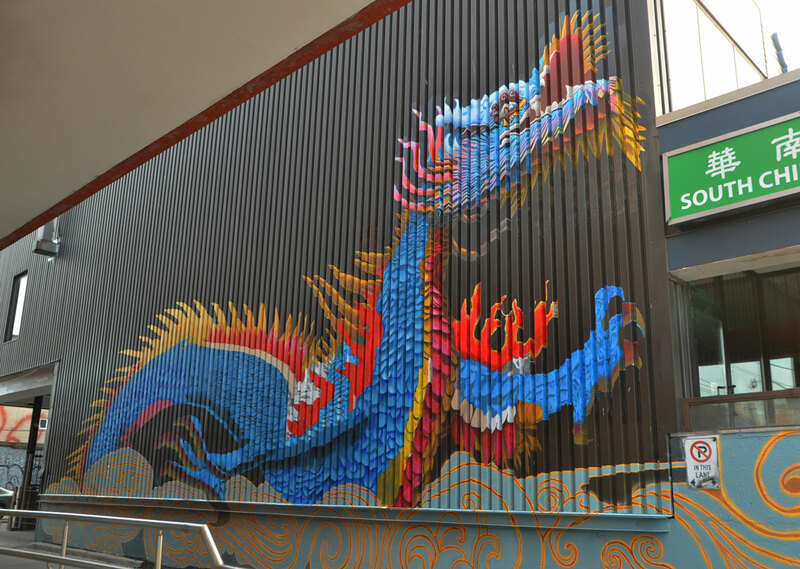 There’s a new dragon in Chinatown. 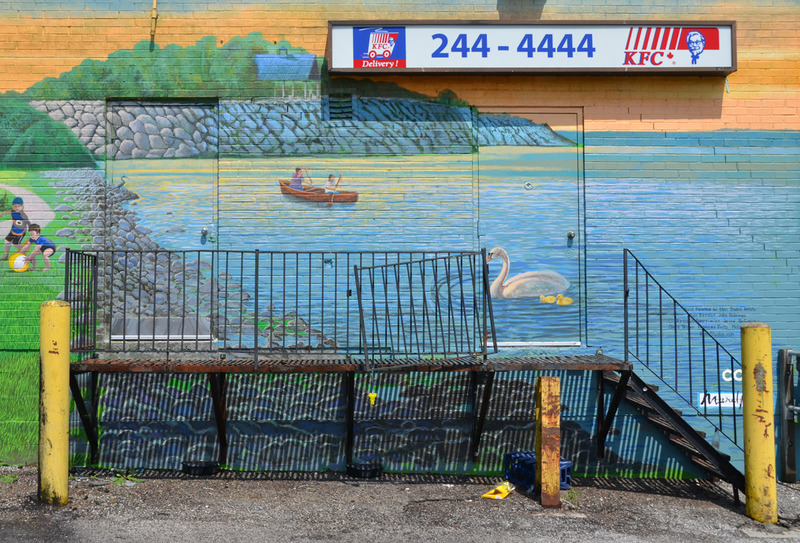 It lives on a wall on Dundas West, just east of Spadina. 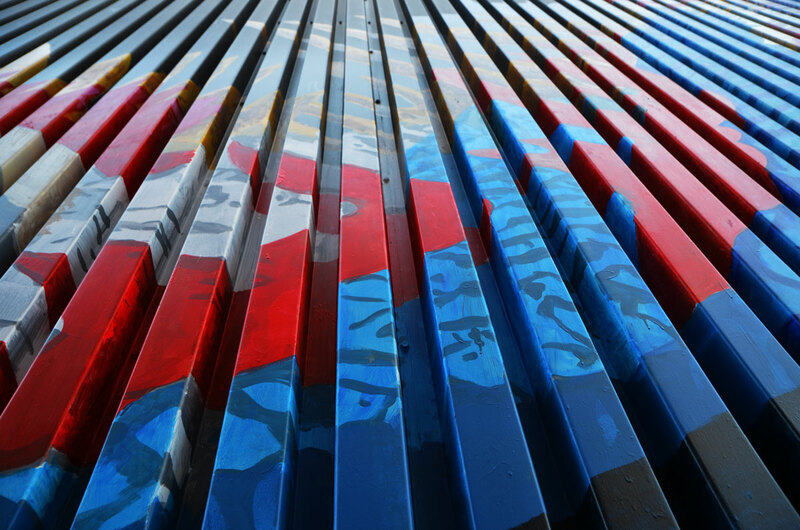 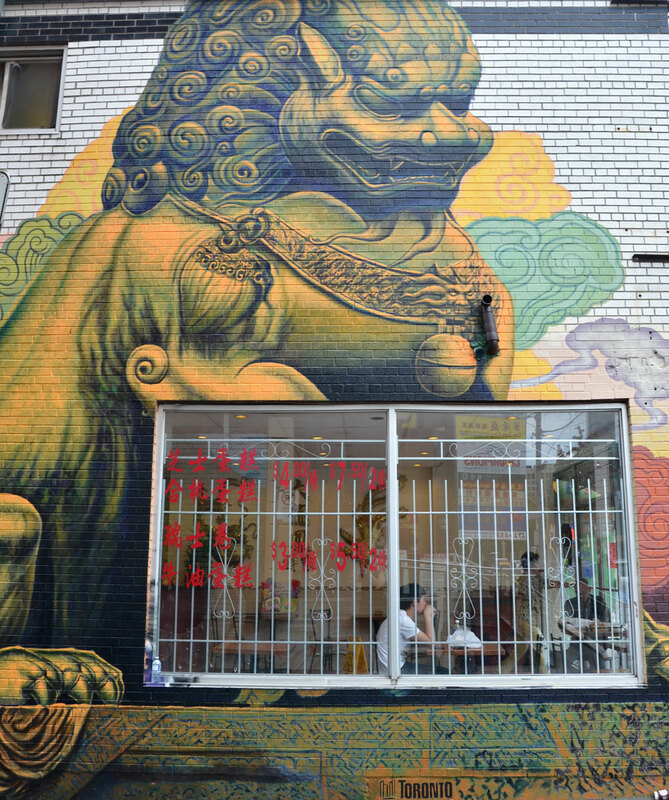 This colourful addition to Dundas West was painted by Blinc Studios Artists, Allan Bender, John Nobrega, Jesse McCuaig, Azadeh Pirazimian, Chris Brown, Frannie Potts and Mohammad Jaberi with the help of the Chinatown BIA and the City of Toronto. 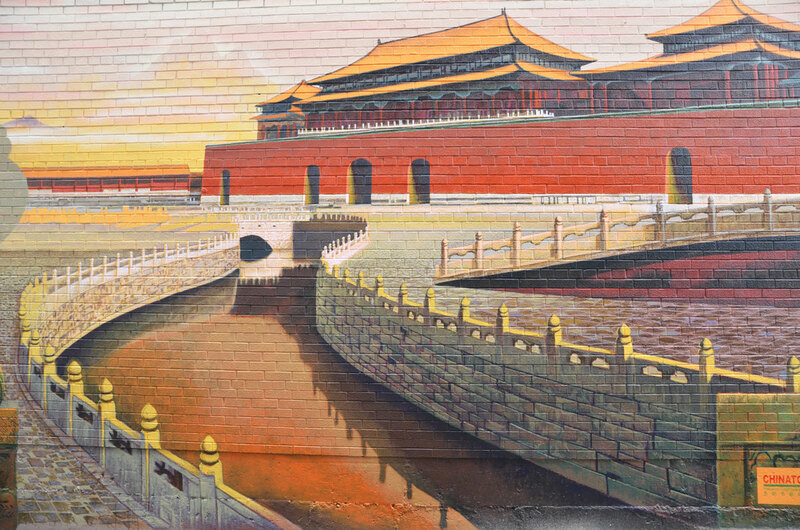 It must not have been an easy mural to paint – the wall is not flat but all parts of it have been covered. 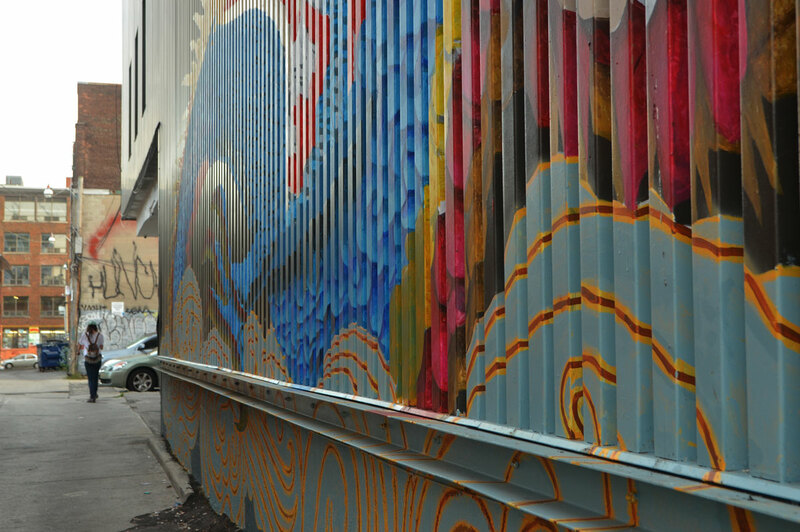 Another wonderful mural to brighten up the alley!